"Crystalline" is a gorgeous white shimmer packed with iridescent shimmer particles that shine blue, purple, pink, and yellow (click on the images to enlarge). The polish applies shiny but dries down to a matte finish. 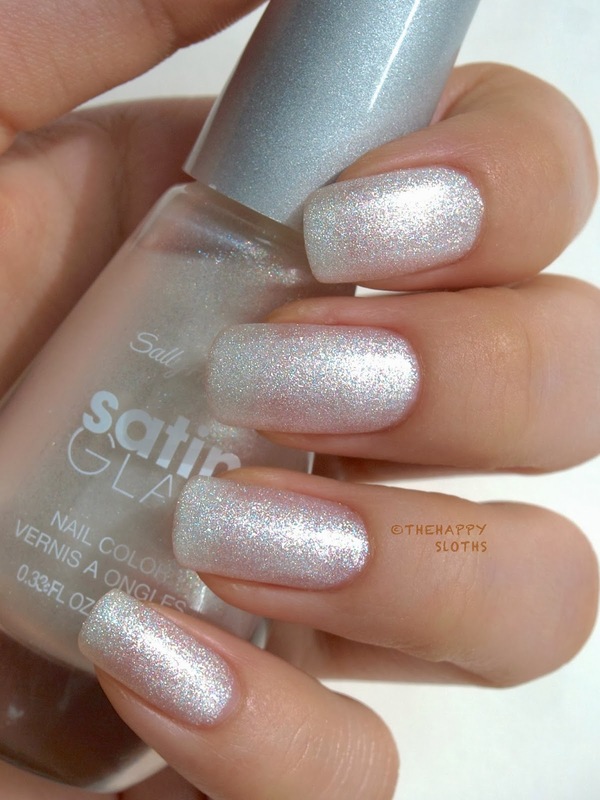 The color "Crystalline is quite sheer so I had to use three coats which increased the drying time quite a bit. 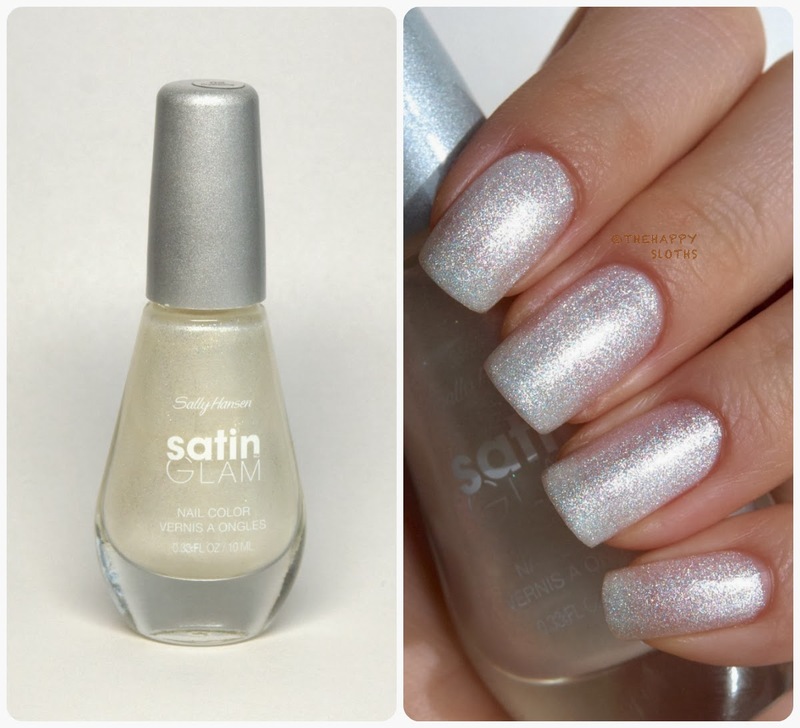 The formula of this Satin Glam polish takes a lot longer to dry compared with ordinary shimmer polishes. Also, even after three coats there is still some visible nail line. Click on the image to see the different colors. Despite of that I really, really like this polish, under the sun "Crystalline" reminds me of glistening fresh snow, with a whole spectrum of color shining through. Sally Hansen nail polishes are sold in drugstores across Canada and US. See store locator here. What do you guys think? Has anyone tried any matte shimmers? Let me know in the comments below!